The 2nd Annual Chad Ohmer Benefit Race for Wounded Warriors is coming up on September 27-28 at the IOK 4-Wheelers grounds in Cleves, OH. This will be a great weekend of racing for a great cause as all proceeds go to the Luke’s Wings Wounded Warrior Transportation Assistance Program. Friday night’s program will include the Season Finale for the 2013 PTN Fast Friday Nights program. The PTN Top Fuel Revolution class will also run its Season Finale at this great race. This is shaping up to be one of the biggest events in the Midwest this season. To view the event flyer, click “Read More”. 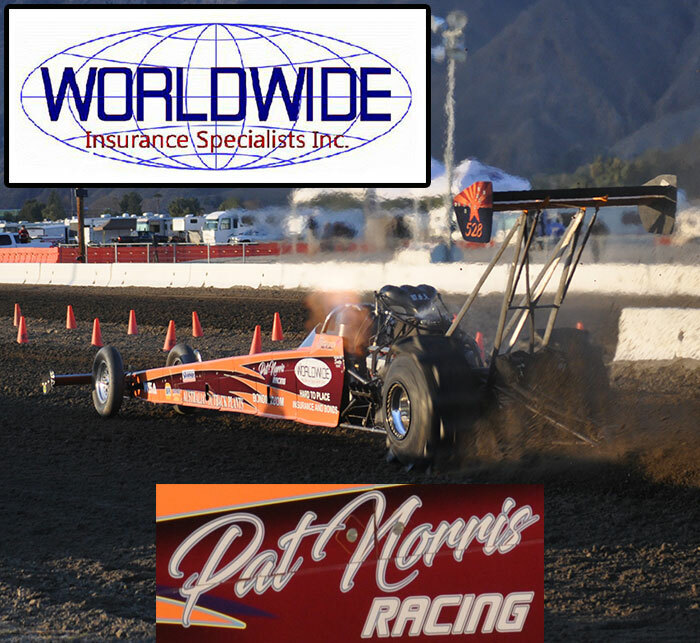 Long time west coast sand drag racer Clayton Record has passed away as result of a heart attack suffered last week. Clayton was a racer’s racer as he entered as many classes as possible at each race, and made as many laps as possible. 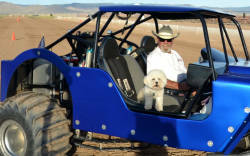 He won many events over the years, and scored a solid runner-up finish at his last race in Albuquerque this past June. But even more than his accomplishments on the track, Clayton had fun at the races. He always had a smile on his face & was ready to chat about racing while sharing a laugh or two. Clayton was also an avid duner often cruising the dunes in California as well as making the haul to Idaho to play in the sand each year. The sand drag racing community will sorely miss Clayton Record. NSDN sends our condolences to the Record Family. Click “Read More” to view some great photos of Clayton over the years of racing. The Dirt 300 will be hosting their 3rd Annual Quick 32 at their NAPA Speedway location in Albuquerque, NM on August 16-17. This event will feature some very healthy purses in the Pro Open Cars & Quads classes paying $1500 to win in each category. 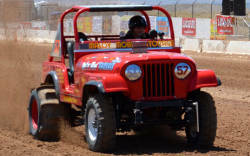 The new for 2013 NAPA Speedway venue received high praise after the Nitro Nationals in June, so be sure to check out this track for your August racing fix if you are in the Southwest. NSDN will be on-site with coverage from this event. Click “Read More” to view the Event Flyer. There was some excellent racing in Michigan with the Quick 16/4th of July Shootout & Sand Nationals events in July. Keep reading for a photo recap of all the action at these two events with photos from Lonestar Graphics and NSDN. Be sure to check out our friends at www.LonestarGraphics.com to purchase merchandise with your favorite photos on them from events all across the country. Pro Truck Nationals (PTN) held its crown jewel event PTN Championship Weekend 2013 in late July in Mears, MI. PTN followed the same wildly successful format from the 2012 Championship Weekend in Kentucky, where a unique format was used to crown a Pro Truck class champion over the two nights of racing action. Pro Truck racers accumulated points over the course of action in Friday night’s Pro Shootout (Pro Truck vs. The World) as well as Saturday’s normal Pro Truck category. This made for two nights of some of the greatest racing on sand with racers from across the Midwest getting in on the action. Read on for the event recap with photos from Lonestar Graphics and NSDN.